Researchers suggest that having neuropsychiatric symptoms might predict whether an older person with AD/dementia is more likely to have a fall. We also know that exercise can reduce the number of falls in older adults with dementia. However, we don’t know very much about how neuropsychiatric symptoms may increase the risk of falls, and we know even less about how exercise may reduce the risk of falls for people with dementia and neuropsychiatric symptoms. A research team decided to explore whether exercise could reduce the risk of falling among community-dwelling people with AD who also had neuropsychiatric symptoms. 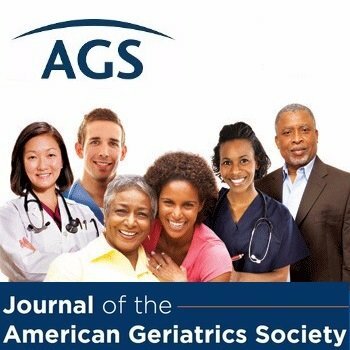 This summary is from “Relationship of neuropsychiatric symptoms with falls in Alzheimer’s disease—Does exercise modify the risk?” It appears online ahead of print in the Journal of the American Geriatrics Society. The study authors are Hanna-Maria Roitto, MD; Hannu Kautiainen, biostatistician; Hannareeta Öhman, MD; Niina Savikko, RN, PhD; Timo E. Strandberg MD, PhD; Minna Raivio MD, PhD; Marja-Liisa Laakkonen MD, PhD; and Kaisu H. Pitkälä, MD, PhD. This entry was posted in JAGS Research Summaries and tagged Alzhe, dementia, exercise, physical activity by HIA Guest Blog. Bookmark the permalink.